Over the past few decades Americans have been subjected to numerous outbreaks of food-borne illness from bacterial contamination. One of the most problematic causes has been E. coli O157:H7, which produces a potent toxin that can severely damage kidneys and cause death. Most preventive measures have been directed at improving sanitation practices at every stage in food production. 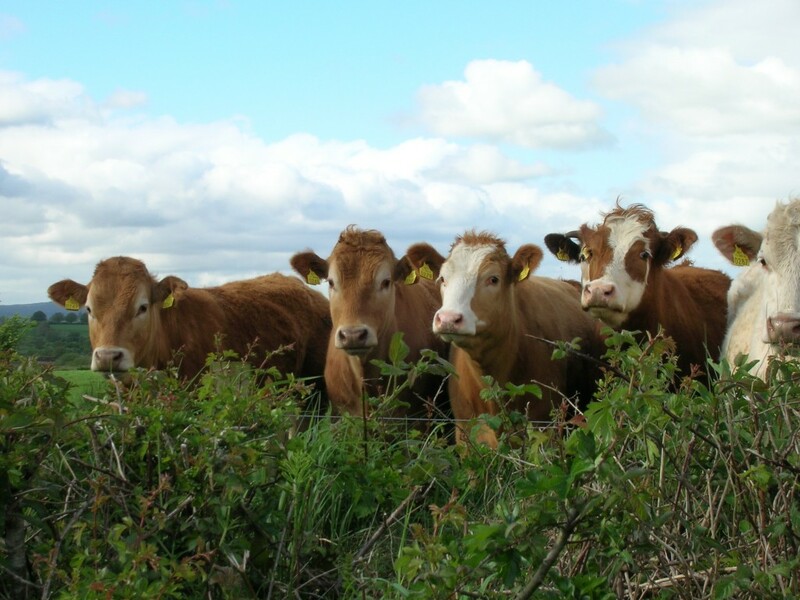 However a new report suggests that there is another effective method vaccinating cattle against the bacteria. The main source of E. coli O157:H7 in the food supply comes from the gastrointestinal tract of cattle. Cows harbor the bacterium without any harm to themselves. However, when their intestinal contents happen to contaminate meat, or water that is used to irrigate food crops, then outbreaks of disease can occur in people who consume such products especially if they don t adhere to proper preparation techniques. 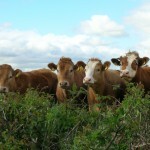 In a recent report in the Proceedings of the National Academy of Sciences, Dr. Louise Matthews of the University of Glasgow, Scotland and colleagues from several institutions, predict what might happen to the rate of human disease if cattle were routinely vaccinated against E. coli O157:H7. The report was reviewed in MedPage Today. Apparently some forms of E. coli are shed to a greater extent by cattle than others, and it s these so-called supershedders that are targeted by vaccines. The authors of the report noted that, if one predicted the cow vaccine s effect on human disease based only on the efficacy in cattle, a 50 percent decrease in human cases could be expected. If, however, one takes into account the fact that supershedders are affected, then the prediction grows to a decrease of 83 percent in human disease. So, we might ask, why aren t such vaccines commonly used world-wide? A major obstacle, according to the authors, is that there is little direct benefit to farmers for using these vaccines, just additional cost. ACSH s Dr. Ruth Kava comments, There should be some policy changes that would incentivize producers to at least try these vaccines. Whether incentives come from food producers or government, we hope that this means of decreasing outbreaks of foodborne illness is utilized. Of course there are many sources of such illnesses besides E. coli O157:H7, but if vaccines against one bacterial source are as effective as these authors predict, it might give impetus to developing others.